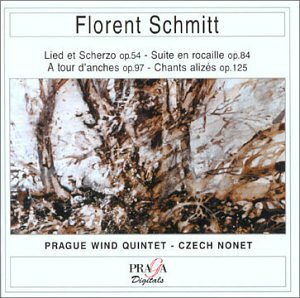 One of the most interesting works by Florent Schmitt is his Lied et Scherzo, Op. 54, which he composed in 1910. Paul Dukas (1965-1935): Florent Schmitt’s Lied et Scherzo was dedicated to his fellow French composer. The piece was first conceived as a work for double wind quintet, with one of the French horns acting as soloist throughout. 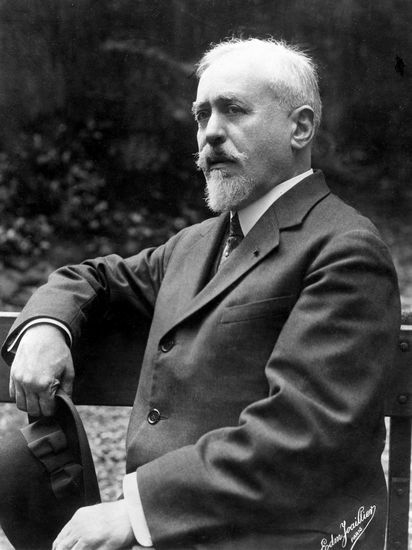 The work was dedicated to Schmitt’s fellow French composer Paul Dukas, who was famous for his own concertante work for French horn, the Villanelle (composed four years earlier in 1906). To this, I’d add that the music sounds positively “orchestral” in its conception — notwithstanding the limited number of players. Simply put, it’s a thrilling piece of music. Precision and passion: The Prague Winds’ impressive performance. I own five recordings of Lied et Scherzo in its original all-winds form – one featuring members of the Lydian Chamber Players recorded in concert in November 1977 at the Episcopal Cathedral of St. John the Divine in New York City (released on the AmCam label) … one with the Sylvan Winds, from 1992 (on the Koch label) … another Koch label release — this one from 1994 with Janos Komives and the Serenade Orchestra … a performance featuring the Czech Nonet, recorded in 2000 and released on the Praga label … and lastly, a French recording from 2008 featuring members of L’Orchestre d’Harmonie de la Région Centre (on the Corelia label). 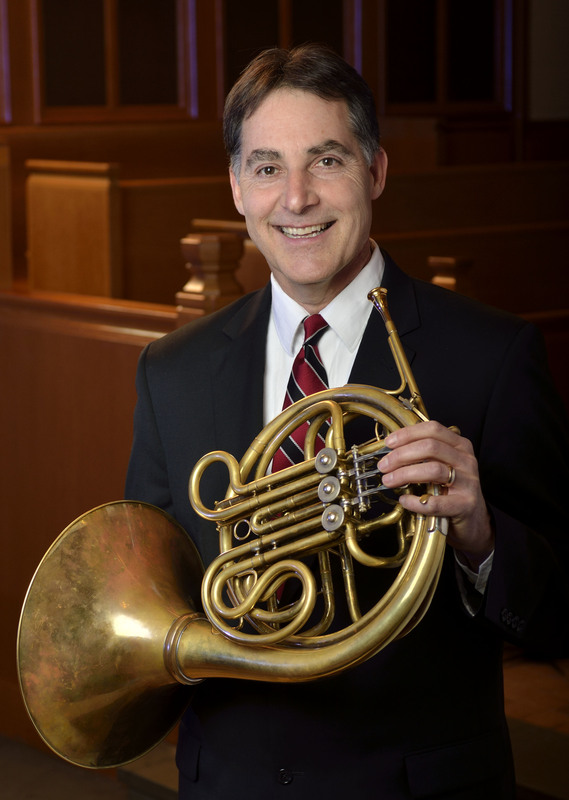 Of the five, my personal favorite is the Czech Nonet performance, which to my mind possesses the perfect blend of precision and ardor – not least in the very challenging horn part. To experience this music in performance is a particularly special treat, because of the chance to “see” the ingenious interplay between the instruments as the musical motifs are tossed back and forth among them, particularly in the scherzo section. This wonderful recent concert performance featuring horn soloist Corbin Wagner along with members of the MSU Wind Symphony illustrates these aspects of the score beautifully. As with a fair number of other works by Florent Schmitt, the composer also created alternate versions of this music featuring different instrumentation. One version features cello and piano, in which form the music was first performed in 1911 by the renowned cellist Paul Bazelaire. To my knowledge, no recorded performance exists of the cello-and-piano version of the Lied et Scherzo … but we do have a very fine performance of another alternate version of this music: one featuring French horn and piano. 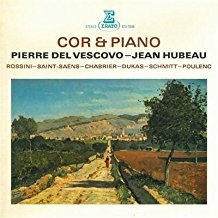 A personal favorite: the French horn and piano version of Lied et Scherzo with Pierre del Vescovo and Jean Hubeau. In this case, it is a stellar realization by the impressive French horn soloist Pierre del Vescovo, joined by pianist Jean Hubeau, in an Erato recording dating from 1980. That recording remains available today in a multi-disc set featuring five important Schmitt works for orchestra and for chamber ensemble. It has also been uploaded to YouTube on one of Philippe Louis’ fine music channels, and can be heard here. The original LP release of the Pierre del Vescovo/Jean Hubeau recording on Erato. The French horn/piano version happens to be my favorite of all of the permutations of this music that Schmitt created. To give you a sense of the visceral excitement that this music conveys, a recent live performance done by horn player Caroline Steiger and pianist Jeannette Fang is idiomatic and highly effective. But … we mustn’t give short shrift to the composer’s fourth and final version – this one created for piano four-hands. It had its premiere recording only in 2012 — more than a century after its composition — and was released in 2013 by NAXOS Grand Piano in a highly effective reading by the Invencia Piano Duo as part of this group’s 4-CD set of the entire catalogue of Florent Schmitt’s works for piano four-hands. It has also been uploaded on YouTube (accessible in the United States only). As a measure of the importance of this score, the Lied et Scherzo was one of the works featured in the 1914 cross-American tour of the Barrère Ensemble of Wind Instruments, a performing group organized by the Franco-American principal flautist of the New York Philharmonic, Georges Barrère. Among the cities where the work was performed were Detroit, Cincinnati, New York City — and even Charleston, West Virginia. 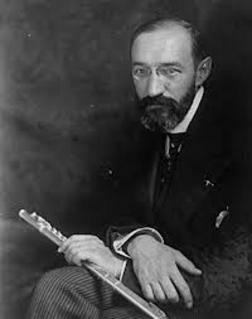 Georges Barrère (1876-1944): The Franco-American flautist included Florent Schmitt’s Lied et Scherzo in the repertoire of the Barrère Ensemble’s cross-American tour in 1914. One could certainly quibble about whether the music was indeed “ultra-modern” in 1914 — and it certainly doesn’t seem that way today. Either way, I find the Lied et Scherzo to be one of Schmitt’s most musically satisfying compositions, not least the incredible — and thrilling — scherzo section of the work. I recommend that you investigate this highly interesting score. See if you don’t feel the same way. This entry was posted in Chamber Music, Classical Music, Composers, French Composers, Piano Four-Hand Music, Uncategorized and tagged Andrey Kasparov, Barry Tuckwell, Caroline Steiger, Classical Music, Corbin Wagner, Czech Nonet, Florent Schmitt, French Composers, French horn, Georges Barrere, Invencia Piano Duo, Jean Hubeau, Jeannette Fang, Lied et Scherzo, Paul Bazalaire, Paul Dukas, Pierre Barbier, Pierre del Vescovo, Schmitt, Villanelle, Wind Music, Yves Hucher. Bookmark the permalink. 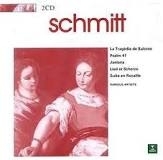 « Florent Schmitt’s Crépuscules (1898-1911): Richly evocative tone painting in the finest French pianistic tradition.